Unfashion yourself is a state of optimal health. There is a miss conception in what is health (life), where we are only focusing in the body. This conception is what I called fashion, because if you look it up the definition of fashion is: a manner of doing something. True health is a balance between mind, body and soul. Once you achieve that balance, you can constantly be optimizing yourself and that is when life will really start taking off. and success will happen. This is state is what I call "Unfashion" state. The mind is where everything starts. We must change the mindset first. That means creating awareness of the limits pulling you back. The body is where you soul lives, and we must put the body in optimal function by nourishing and moving your body. The soul have nothing to do with religion and everything to do with purpose and intuition. Creating awareness, and nourishing your body makes it easier to listen to that intuition. We start with the body, we start cleaning up the diet, adding stress management tools and we fix the movement routine. Start working within, creating awareness and start identify what is working and what is not working for you. Start changing what no longer works for you and start optimizing what it does work. Reconnect with your true self and start living your life purpose. Monthly membership with recipes, health tips, videos, workout tips, forum and much more. 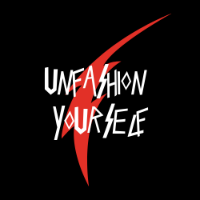 You also get the Unfashion Yourself eBook.